CHECK OUT OUR EARLY BIRD SPECIAL FOR FLIGHTS BEFORE 8:30 AM OR AFTER 2:00 PM! See the highlights of West Maui Deluxe and whale watch (in season) as you cross Pailolo channel between Maui's northwestern shore and Molokai's eastern coastline when you take a flight with Sunshine Helicopters! West Maui is one of the wettest places on earth. Weather permitting, flight highlights include: the "Wall of Tears" with over 17 waterfalls flowing at once; Maui's tallest waterfall, Honokohau Falls, with over 1,100 feet drop. 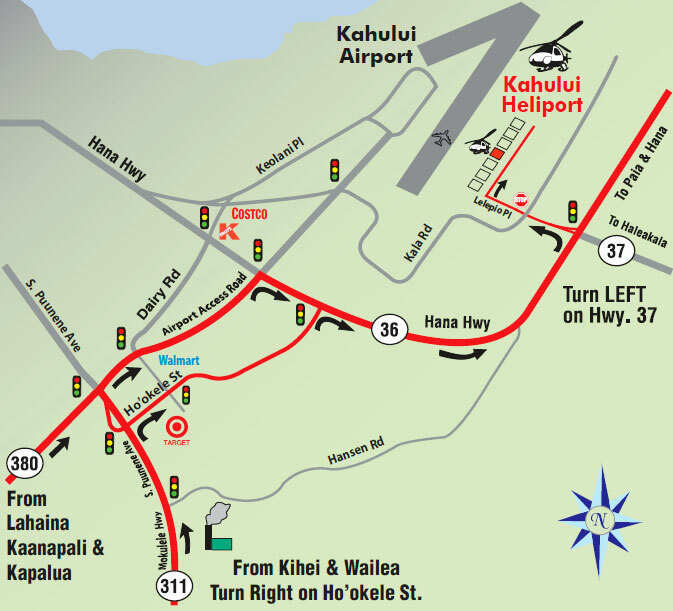 See the resorts of Kapalua and Kaanapali. Soar above Hawaii's tallest waterfalls - including the 1,750 feet Kahiwa Falls, along Molokai's remote and isolated north shore. You will be in awe at the gigantic sea cliffs, the tallest in the world. Discover Halawa Valley with two beautiful, large waterfalls flowing down the mountains. See Molokai's Kalaupapa Peninsula, which for years has been home to people suffering from Hansen's disease (leprosy) and see Father Damien's monument. Not many visitors see Molokai and it is Ross's favorite tour. Molokai Deluxe Flight Includes: Ground briefing, coffee, personally narrated tour, choreographed CD music through rich stereophonic headsets with volume control, air-conditioning. The pilot-narrated video of your actual flight on DVD will be available for purchase. Early bird, morning, mid-day and afternoon departure times. The exact departure time for your preferred timeframe will be specified on your voucher. FX Star: Passengers over 240 lbs (108 kg) or a combined weight of over 400 lbs (181 kg) for 2 passengers may require the purchase of a comfort seat. WhisperSTAR: First class guarantee of front seat is limited to 290 lbs (131 kg) or a combined weight of 490 lbs (222 kg) for 2 passengers. Open seating over 290 lbs (131 kg) may require the purchase of a comfort seat. FX STAR: The industry standard FX Star, known as "Black Beauty," has all forward facing customized bench style seats giving excellent visibility. Sunshine Helicopters has flown over 850,000 satisfied passengers in their "Black Beauties" since 1985. The ASTAR 350FX features Bose aviation headsets, an air-conditioned cabin and oversized panoramic windows. WhisperSTAR: The EC 130 B4 WhisperSTAR is the ultimate in sightseeing helicopters. More interior room, more visibility with added plexiglass and elevated rear seats. Sunshine Helicopters customizes the standard factory interior with business and first class seating to further enhance passenger comfort and visibility. Soar in the state-of-the-art WhisperSTAR and experience the quiet, ultra smooth and most advanced technological sightseeing helicopter ever.